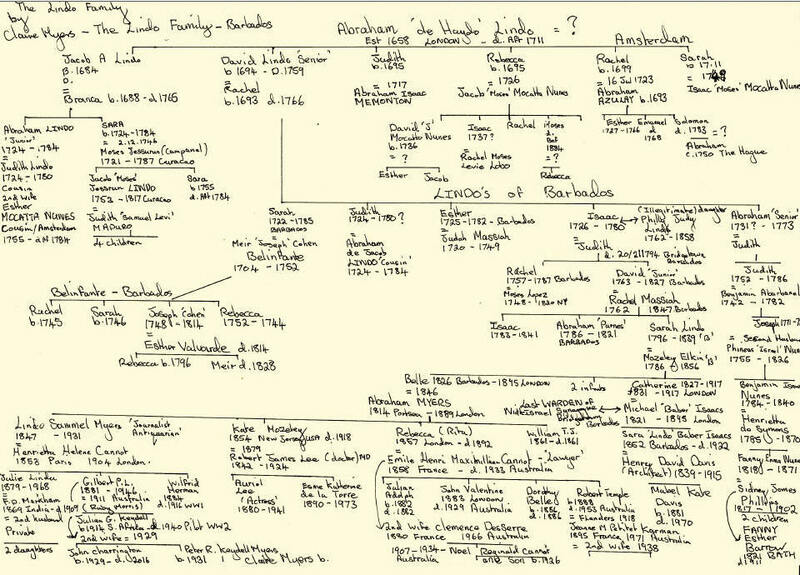 The following family trees were provided by Claire Myers in June 2016. 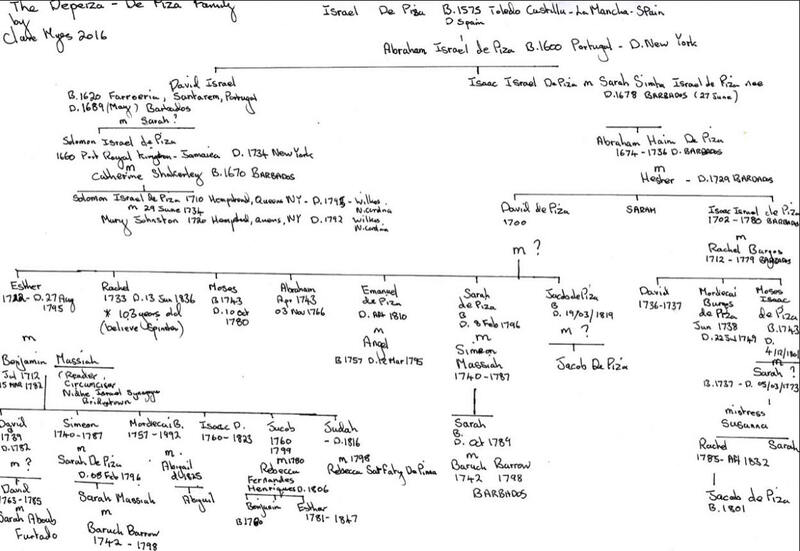 In them can be found large pieces of the Massiah, de Peza and Lindo genealogies. 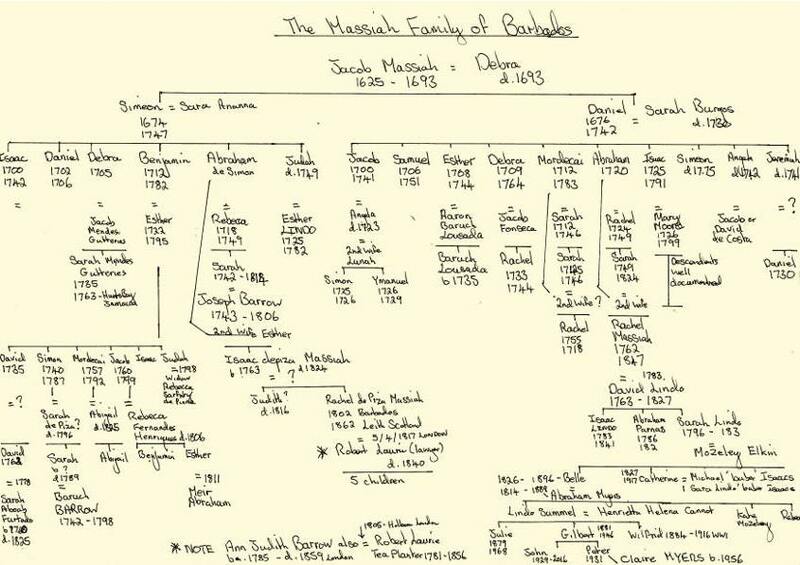 The first image covers the Barbados Massiahs. The second image covers the de Pezas, and we struggled elsewhere to suggest how the de Peza Massiah line came about. The last image covers the Lindos and shows the descent of Claire Myers. These are working documents and the data will be included in digital format with sources included in due course. Details of living descendants have been omitted.